Climate change crys for action ! We all knows , now it’s time – perhaps the last moment – to save the World ! Let’s unite the private sources in the continent biggest program ( ever done in human history) and show politicians that ACTION difers from talks . Greening one-third of the Sahara desert could save our Planet , could offer better living condition for millions of people beside that it will heat-up the slowing locomotive of the world economy, again .With unic and progressive climate mitigation program Africa could become the engine of the World economy. In 2015, a group of international scientists, representatives of different skills and associations in Budapest (Hungary), decided to form an Action Platform for progressive climate mitigation where innovative technologies can support concrete actions. The 3S Platform applies a “puzzle model” with a special “triple win” approach to represent and support individual, regional and global interests. 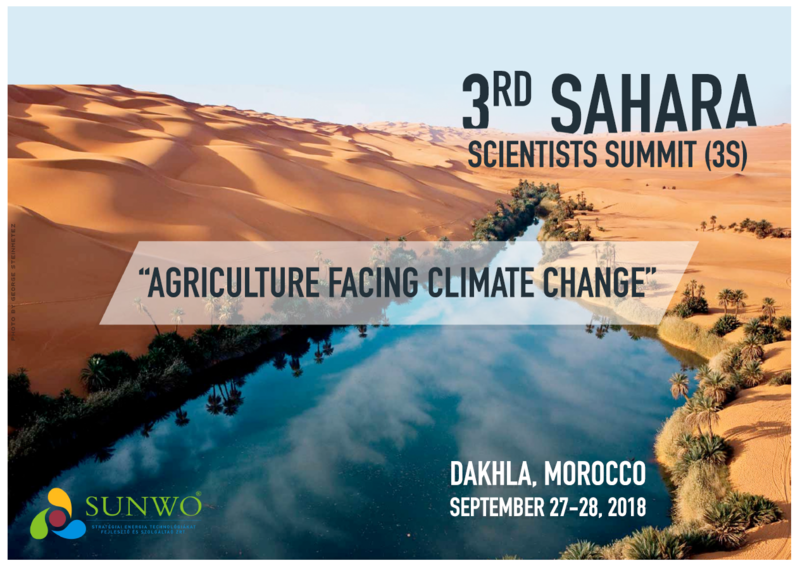 As a scientific side event of the 3rd International Agro Expo (FAID) to be held in Dakhla between 27-30 September 2018, we are proud to announce that the 3rd Sahara Scientist Summit (3S) with a challenging theme of ” Agriculture Facing Climate Change” will come to the mouth of the Sahara Desert, to Southern Morocco for a two-day long scientific program in Dakhla. World scientists and decision makers as well as philanthropists are invited to join us and contribute to the discussion. We are seeking to work out brand new approaches on regional and global climate issues in which young students will also be welcome to support a progressive, wide ranging, and multinational think group, moreover, participate in the realization of a continental green program as a result of the common work. 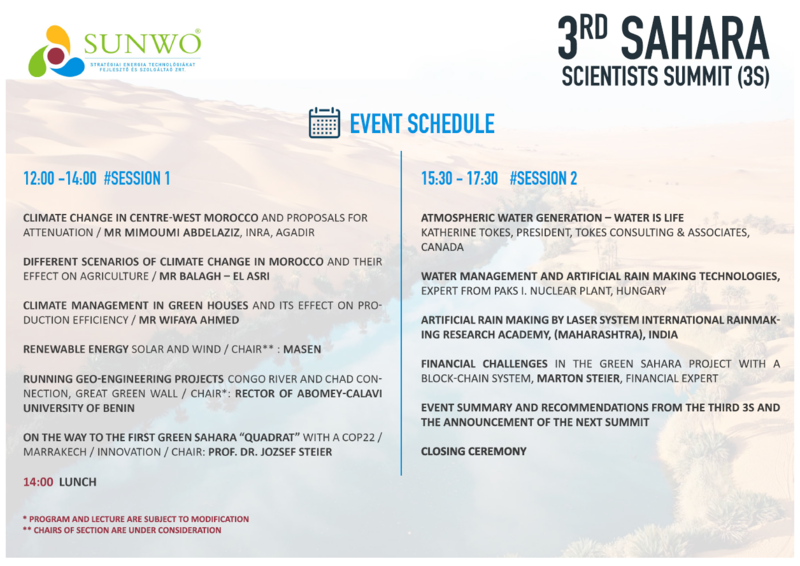 Multinational companies, world institutions, foundations and associations, as well as private donors, are most welcome to contribute to the event’s success and to participate in achieving the first Quadrat of the Green Sahara Project’s objectives. 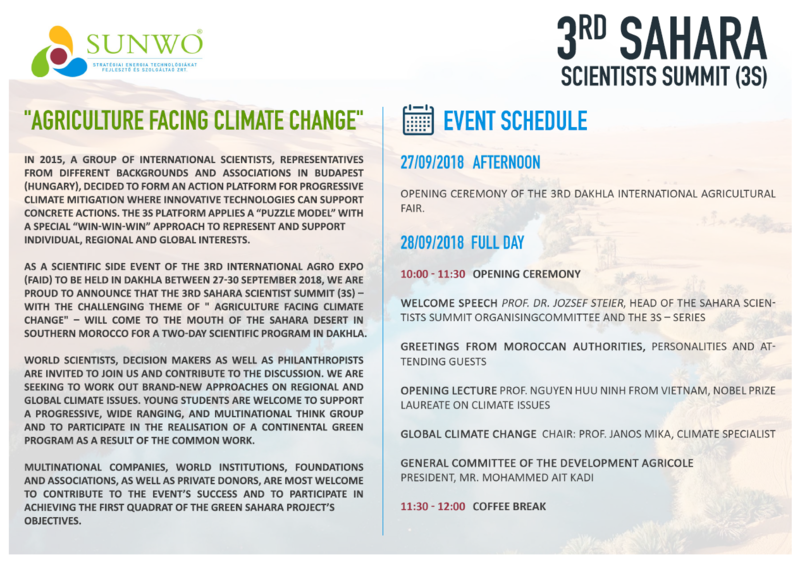 Enclosed to our MANIFESTO ( which is a cry for help to save the World ) you will find the program of the 3rd Sahara Scientist Summit (3S) to which your contribution is most welcome . However your participation in the first Quadrat of the Green Sahara Project is essential to demonstrate that you act on behalf of your social responsibility . Let’s regreen the Sahara , let’s make something great and important for the Humanity ! 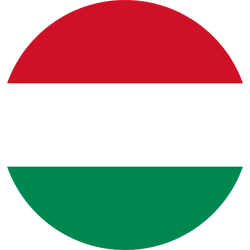 Address: 1039-Budapest, Pünkösdfürdő u. 48/A.